Today's post is all about skincare and I will discuss with you whether At-Home peelings are a good option or not to achieve a flawless glowy skin. Since, autumn is the perfect season to start having peeling treatments and regenerating the skin, getting rid of acne scars, sunspots and other skin irregularities, I decided to share with you my At-Home Peeling experience. Chemical peelings are a mixture of active substances (mainly fruit acids) that remove old and dead cells from the outermost layers of the skin and activate a regeneration process in the skin. 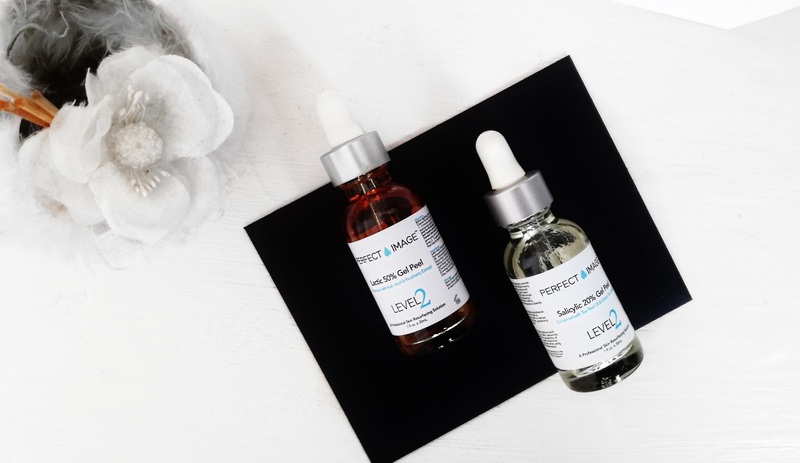 To fight some acne scars and dark spots on my face, in the past I had a few professional chemical peelings so I already knew what kind of peelings suit my skin. 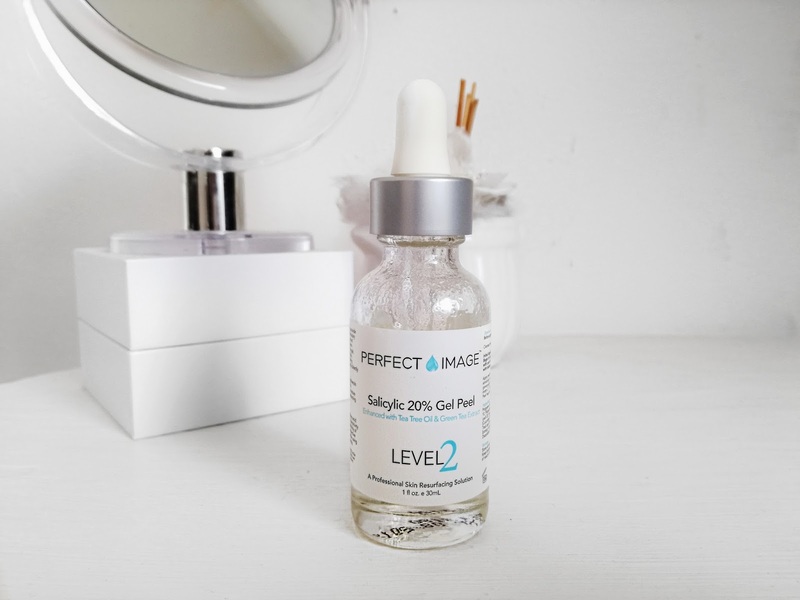 Then in January 2017 I started using Perfect Image's salicylic and lactic peelings, a line of cruelty free and parabens & sulfates free skin peels developed using the latest research biotechnology and resources in the industry. HOW DO I USE AT-HOME PEELINGS? After almost one year of using at-home peelings, my routine is to apply the salicylic 20% gel peel once a month in order to minimize acne scars and then I use the lactic 50% gel peel 3/4 times per year to reduce dark spots and sunspots. 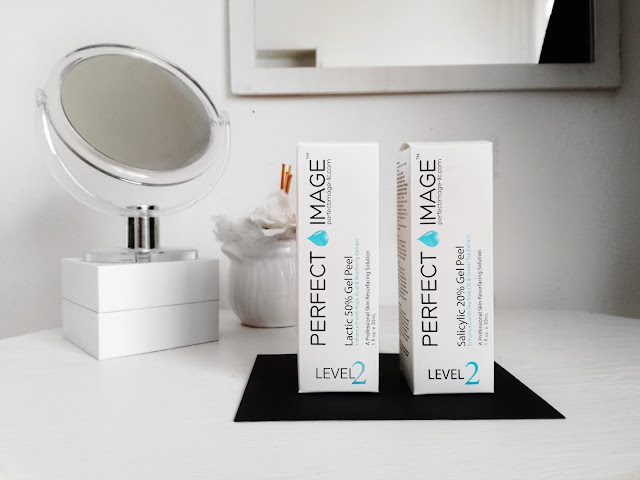 Of course, to avoid skin irritation I only use peelings during autumn/winter months, because strong sunlight can hurt your skin and generate new sunspots. At-home peelings are a part of my night time routine, so after I removed all my make up and cleansed my skin, I apply the peeling with a fan brush and I leave it on for 1 minute to 2/3 minutes. Then I remove the acid with cold water and I apply a super hydrating night cream, making sure to use sunscreen in the next days as the base of my make up. My experience with at-home peelings is super positive. 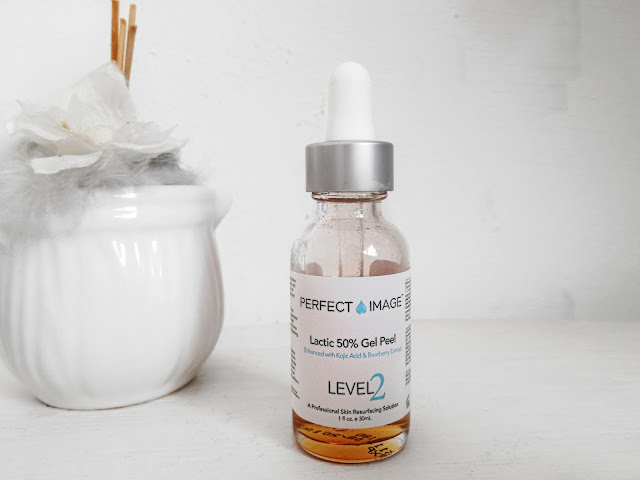 Using Perfect Image's products helped me to minimize 30% of my acne scars and they also gave me a brighter and softer skin. 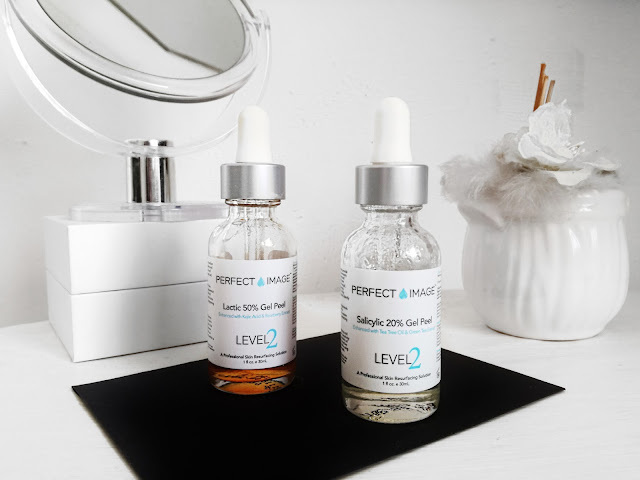 But especially if you had acne, you always have to keep in mind that peelings in general (both medical and at-home ones) will improve your skin but they will never solve the problem at 100%, only laser treatments can. Let me know in the comments down below if you found "My At-Home Peeling Experience" article useful and what do you think about at-home peelings. Uauu thanks for sharing sweety! I would love to try this! Especially in the winter when my skin is dry. Hello Magda, you should try at-home peels, you will love them for sure!! Looks fantastic dear! I didn't know this brand and products but I'm really curious! I'm scared to be doing things like this at home, but this sure sounded positive. Thanks for sharing. Helps!